Gavin Collinson’s new novel The Hitchcock Murders is a homage to the Great Man. Published by Cutting Edge Crime, it’s a big, fun story about a serial killer who slays in ways inspired by Alfred Hitchcock’s classic films. It’s a contemporary thriller full of big set pieces and characters I hope people will love spending time with. Lots of cliffhangers, personal jeopardy and twists. No-one who’s read it has predicted the final chapters and the sequence of reveals that fuels the second half of the book… But it doesn’t cheat! The clues are all there. 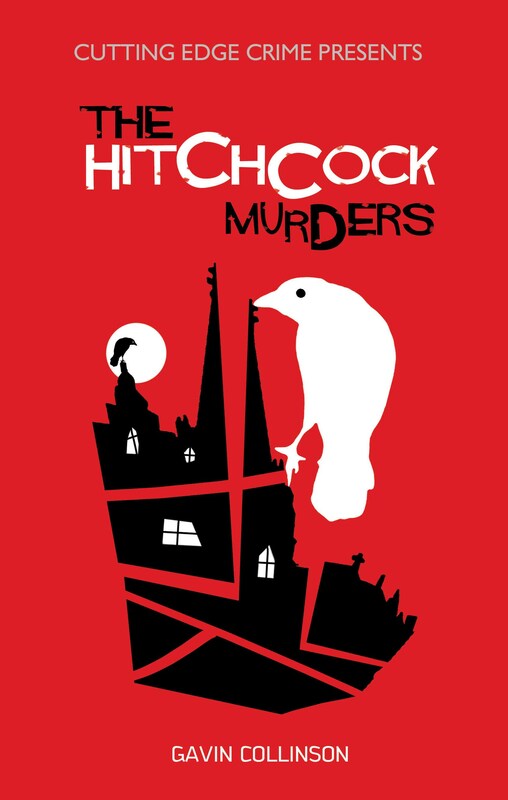 Give us an example of one of your Hitchcock-themed murders! All the famous ones are there, from murderous birds to showers that don’t end well. I needed to cover the killing in Blackmail where someone is stabbed with a breadknife, but if you’ve ever actually tried stabbing someone with a breadknife, you’ll know it’s a tricky business. The way that turns out in the book makes it my favourite murder. What do you think the great man would have thought of your book? It’s a little known fact that he’s alive and well and living in Shamley Green. He’s read the book and tweaked a few of the murders but you know what? He loves it. Bloody loves it. For reasons I won’t bore you with, I completely understand obsession. And I’m not talking about the perfume, here. Obsession forces us to do mundane things and fun stuff but it can also compel normal people to carry out acts of evil. I’ve seen it happen and it’s terrifying. That was one of the many starting points for The Hitchcock Murders, but another, more obvious trigger was a straight-forward desire to write the kind of book that people will read and then urge their friends to read. That’s a big ask… I hope I succeeded. What’s your favourite Hitchcock movie – and why? That changes every day because they’re so different. The Birds looks unspeakably beautiful and if you watch five seconds of North by Northwest you’ll be unable to tear yourself away until the end credits. That’s medical fact. But right here, right now I’m going with Rope because it’s a different movie every time I watch it, yet it never fails to disturb and delight. I do worry about Josa. She’s like you and me. Given a raw deal at work and when she finally gets a break – in her case a promotion to the rank of DCI – the powers-that-be want to see her fail so they hand her the Hitchcock Murders, thinking she’ll be out of her depth. And you know what? She is. But Josa has been swimming against the current all her life and will not go down without a fight. She’s a young, British, Muslim woman with a better-looking sister, whom she adores, and a mother who has elevated criticism to a casual art form. Her dad died years ago but she still misses him and although it might not make sense, Josa desperately wants him to be proud of her. She knows she was the apple of his eye and that he would be rooting for her one hundred per cent. That some people, people you thought loved you, will pray that you fail. Some of my colleagues are insensitive to the point of brutality so I’m used to criticism that would drive many people to take their own lives. Having said that, positive feedback still makes my world sunnier and warmer, so I’m fine with both ends of the spectrum. After I wrote The Hitchcock Murders I gave it to several readers and their feedback was priceless. If they thought something jarred or felt lacklustre or they spotted an opportunity to improve a passage, I wanted to know about it. In terms of being an author, top of my job spec is ‘write a cracking thriller’… I’d be a clown to ignore any feedback that helps with that goal. I admire every author who works hard and with imagination to craft something that entertains people, whether it’s in a genre I enjoy or not. It’s a tough thing to do. I work on Doctor Who and see first-hand how genius writers like Steven Moffat create gripping fiction. A lot of it is down to innate talent, sure, but believe me, it’s also a question of relentless graft. I despise lazy writers who churn out books that are devoid of wit or surprise or dare. These authors know who they are and when I’m king of this land they will be sent to Strangeways and forced to read their own garbage for at least seven hours a day. Always remember your reader. That sounds obvious to the point of d’oh, I know, but keep this in mind: readers don’t know the next chapter is the best thing you’ve ever written. You must ensure the preceding chapter is strong enough to take them there. We live in a world where distractions are constantly tugging at our sleeves, so your prose must be consistently good enough to overcome that. A large G&T, if you’re asking. After that? Some of the characters who survive The Hitchcock Murders return in They Keep Killing Marilyn which I’m currently writing. This will sound corny and a little bit talkshow, but I absolutely love being back with some of these characters, giving them dangerous new problems to contend with. Watching them fail, get angry, flirty, win battles, lose face and try to overcome their own frailty to see justice done. The sequel to The Hitchcock Murders will also be published by Cutting Edge Crime and writing it feels fantastic. You can buy The Hitchcock Murders from Cutting Edge Crime here. And you can find out more about Hitch right here. This entry was posted in Authors, The Intel Interviews and tagged Alfred Hitchcock, Blackmail, DCI Josa Jilani, Gavin Collinson, North By Northwest, Rope, Steven Moffat, The Birds, The Hitchcock Murders, They Keep Killing Marilyn on April 8, 2015 by Crime Thriller Fella. We’re almost into the New Year. A new beginning. A time of optimism and hope. Philip Taffs doesn’t do optimism and hope. Not when he’s writing, at least. His dark novel The Evil Inside follows one man’s descent into hell when he moves with his family from Melbourne to New York after painful tragedy strikes. Guy Russell’s life and sanity begin to implode when he begins to suspect that his son is possessed. It’s a gripping psychological drama, as well as a deliciously dark horror novel. I’m delighted to say that Philip is kicking off our 2015 by giving us the intel on his inspiration, the secret of writing horror, psychic premonition — and, of course, his writing process. A psychic – who had no idea I was a writer – told me 17 years ago that I’d write and publish ‘a Stephen King-type book and go and live in America.’ I did unexpectedly go to America to work and live and a whole lot of other stuff he said came to pass…. so I just had to keep going. In terms of literary and filmic inspiration, American Psycho, The Shining, Kubrick’s film of The Shining, The Small Assassin by Ray Bradbury, Taxi Driver, Hitchcock films, No Logo by Naomi Klein and Rosemary’s Baby, the book and film. You live in Melbourne, but The Evil Inside is set in New York – why did you set it there? Because in 2000, I was actually lucky enough to live and work in New York for a year. I lived in the hotel, the Olcott, featured in the novel for 4 months: it was very atmospheric (as the Stanley Hotel was for Stephen King when he conceived of The Shining). After I’d returned from New York, I discovered that Mark David Chapman had stayed there at one stage before shooting John Lennon — that was another creative prod to get going and start writing. What’s the secret of writing horror? If I knew the secret to writing horror, I’d hire a bunch of other writers and become their manager. Perhaps the trick is to imagine the worst but then understate and delay it – so the reader feels that something awful is impending but doesn’t know what or when. ‘Something wicked this way comes,’ as Ray Bradbury said, or ‘suspense rather than surprise,’ as Hitchcock advocated — because a surprise can only happen once whereas suspense is a delicious prolongation. There’s also the skill of holding back information but dropping little breadcrumb clues along the way that the reader can follow back once they get to the end: Fight Club is a brilliant example of this. By the way, The Evil Inside is as much a psych-thriller as much as psych-horror, as you are never entirely sure if something is real or imagined — or who’s telling the truth. You’ve said that you’ve been rejected across three continents before being picked up by Quercus – is it important for a writer to have a thick skin? In my case, working in advertising for 25 years gets you very used to rejection as it happens most days. Plus I had the advantage of the psychic prediction which was always my light at the end of the tunnel. The book is actually dedicated to the psychic, Alan Pilkington – and ‘you’ll see‘ became the novel’s mantra. Why do so many advertising men become successful writers, do you think? Advertising men — and women — on a daily basis learn to write to deadlines, suffer endless rejection, invariably get sent back to the drawing board and are often asked to reimagine things. So they have extra resilience and are far less sensitive than writers who perhaps haven’t done it as a day job before. That success really is up to you. Unless you have a very lucky break, finding a decent agent and/or publisher is even harder than writing the book because it requires utter determination much more than talent. Read. Read. Read. Write anything for practice: articles, journalism, short stories, brochures, cereal packets – work those muscles. And never, ever, ever give up. 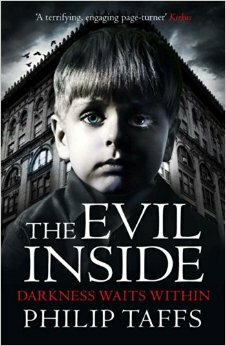 So, look, The Evil Inside is published by Quercus. A Happy New Year to you, sirs and madams. This entry was posted in Horror, The Intel Interviews and tagged Alfred Hitchcock, American Psycho, Donna Tartt, F. Scott Fitzgerald, Fight Club, Gillian Flynn, Gone Girl, Ira Levin, John Irving, Martin Amis, Naomi Klein, No Logo, Philip Taffs, Ray Bradbury, Rosemary's Baby, Somerset Maugham, Stanley Kubrick, Stephen King, Taxi Driver, The Evil Inside, The Secret History, The Shining, The Small Assassin, Truman Capote on December 29, 2014 by Crime Thriller Fella. Disorder by Paddy Magrane is the first of a new series of novels to feature damaged psychotherapist Sam Keddie. 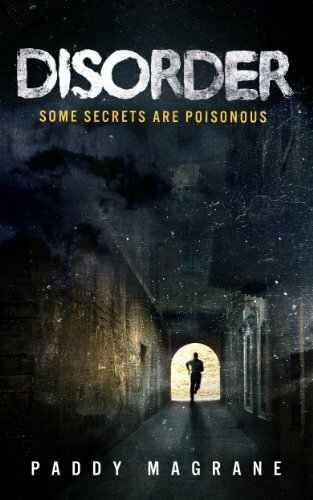 It’s a rollicking conspiracy thriller in which Keddie goes on the run to unravel the mystery behind the death of a top politician. When Cabinet Minister Charles Scott commits suicide, his troubled psychotherapist, Sam Keddie, is consumed with guilt. But then a shadowy Government official visits, demanding details of his sessions with Scott. Bound by client confidentiality, Keddie refuses to help. Guilt is soon the least of his problems. The therapist finds himself threatened – and forced on the run. Digging into the Minister’s death, he follows a trail from London to Marrakesh. There, hounded by relentless pursuers, he comes face to face with Scott’s dark secret – one with the power to topple a Government and ignite a volatile region. With his enemy closing in, Keddie must expose the truth – before he’s silenced forever. There’s a real old-school charm to Disorder. I’ve always found chase thrillers set in the south of England are a tough act to pull off. The Home Counties don’t have that epic sense of space you get in the US, of course, everything is too cramped and parochial. But Magrane does well to inject a sense of danger and paranoia into the everyday parts of London and the countryside, and riffs nicely off familiar book and movie sequences. There are some terrific set-pieces, including a scene where Keddie and his companion Eleanor – the daughter of the dead minister – are trapped in a sinking car, and Magrane always keeps Keddie’s desperate escape from shadowy forces in motion – the action moves to the hot and riot-ridden streets of Marrakesh and even into the heart of Downing Street. Keddie is a likeable and empathetic hero, thrown into a situation way beyond his control, and I like the way Magrane takes time to develop the characters and motivations of his antagonists, the army man Frears and the hugely-powerful politico Stirling, so that they men who never tip over into moustache-twirling pastiche. I’ve got a couple of reservations, though. For one, I’d like to have seen some more twists and turns. Disorder is pacey but the story unfurls in a straight line. Magrane sticks to the dead centre of the narrative road and takes his corners carefully. You always get a sense of where the story is heading, where sometimes you’d really like him to jerk the wheel and spin off somewhere unexpected. Also, having a psychotherapist as a protagonist is a terrific conceit – the details about Keddie’s job are fascinating – allowing his protagonist to dive into the murky terrain of the mind, as well as cover physical ground. I guess the novel isn’t called Disorder for nothing. But, despite that, the writing doesn’t throw up a lot of emotional heat. You never really get a desperate sense of the anguished turmoil of the characters, despite the painful psychological damage with which Magrane burdens his characters. For example, in one sequence, the claustrophobic Keddie is trapped – but the terror of his response is fleeting and a potentially gripping set-piece is left largely unexplored. In further Keddie thrillers it would really be good to draw out more of that sense of deep-rooted trauma in the prose – and there are some fucked-up psychological revelations in Disorder, that’s for sure. It would really take the writing to the next level. However, there’s a lot to like here. Keddie is a vulnerable and quick-witted hero, and hardly impervious, and Magrane moves him from place to place, from the streets of London to the angry streets of Marrakesh – the tense descriptions of the chaos and riots there are tasty and atmospheric – with a sure hand. Other reviewers have mentioned Robert Harris as an inspiration – and there are obvious nods to Hitchcock in the novel – but you can also sense the presence of the satisfied ghost of John Buchan in Magrane’s tale of a decent man taking his unflinching fight for the truth right to the very top. Thanks to the author for the review copy of Disorder. 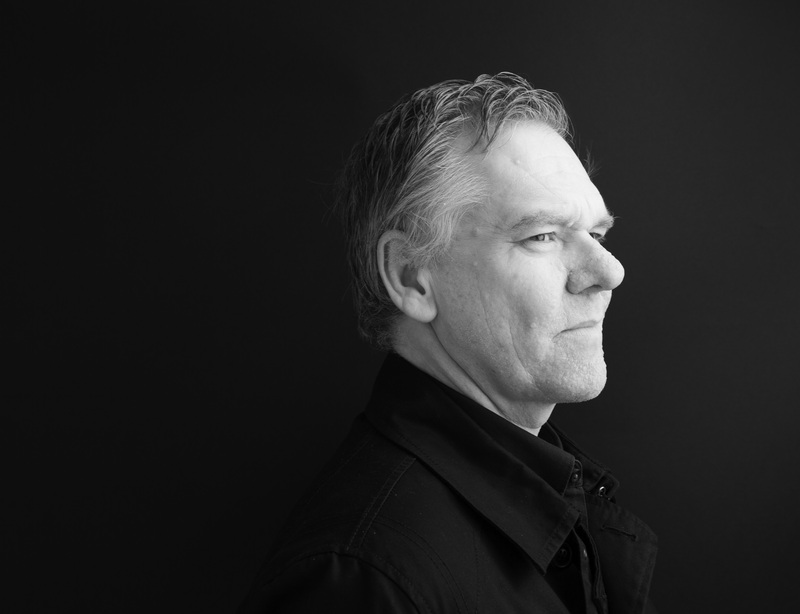 Paddy Magrane gives us The Intel on Disorder and his writing regime very soon – so look out for that. Next week we’ve got more telly news, a review – and one of the biggest names in the writing business gives us The Intel on his writing! This entry was posted in Books, Reviews and tagged Alfred Hitchcock, Disorder, John Buchan, Paddy Magrane, Sam Keddie on September 5, 2014 by Crime Thriller Fella. You’d expect Easter to deliver up some televisual goodies, and next weekend duly serves up the beginning of two very different crime series. 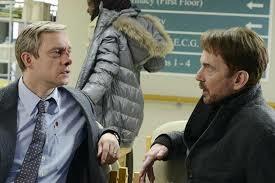 Fargo, which begins on Sunday night, is a bit of an oddity. You know Fargo, right? Marge Gunderson, Jerry Lundegaard. Everyone saying yah, and woodchippers, and suchlike. Well, this series isn’t that. It’s kind of inspired by that, but it’s a whole new story with totally new characters – but still retaining the whole Fargo vibe. So Billy Bob Thornton is the stranger who comes to a Minnesota and sends the life of an insurance salesman, played by Martin Freeman, spiralling out of control. The Coens are exec-producing, and they’ve written some episodes, which bodes well. The series is produced by Noah Hawley, who’s done some television and written a rather good crimey-tinged novel called The Good Father. Curiously, this isn’t the first time Fargo was adapted for the telly. The Sopranos’ Edie Falco starred as Marge in a pilot that never went to series way back in 1997. The first part of this ten-part iteration is on Sunday night, 9pm on Channel Four. Easter Monday brings the first episode of BBC1’s adaptation of Daphne du Maurier’s tale of murderous smugglers, Jamaica Inn. Published in 1936, it was filmed only three years later by Alfred Hitchcock. Mary arrives at the isolated Inn to discover her Aunt is a shell of the carefree woman she remembers from her childhood, and instead finds a tired and anxious woman who is firmly under the spell of her domineering husband Joss. 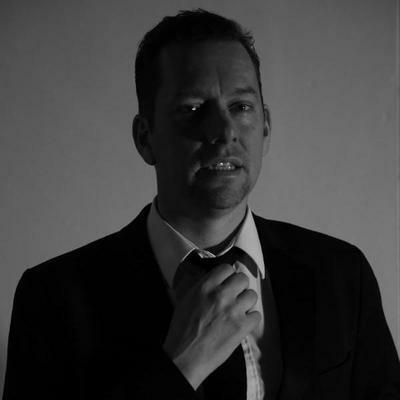 Joss is the head of a gang of men who smuggle all along the stretch of the Cornish coastline. It’s dangerous and violent work and when Joss isn’t smuggling, he is drinking heavily to forget all that he has seen. Life at Jamaica Inn challenges Mary’s black and white perceptions of morality as she finds herself living among smugglers in a lawless land where no one is quite who they seem. When she thinks she has witnessed a murder, Mary wonders at what cost she will stay silent. Jamaica Inn is on at 9pm, BBC1, next Monday night and then jollies along for three consecutive nights. This entry was posted in Television and tagged Alfred Hitchcock, Coen Bros, Daphne Du Maurier, Fargo, Jamaica Inn, Jerry Lundegaard, Marge Gunderson, Noah Hawley, The Good Father, The Long Good Friday on April 14, 2014 by Crime Thriller Fella. 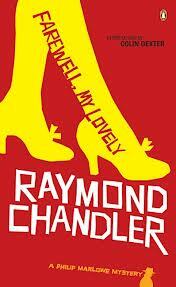 Raymond Chandler was one of the most influential American crime-writers of all time. 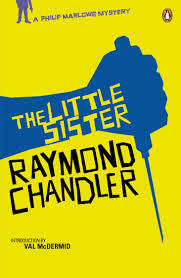 His battered, moral, cynical detective Philip Marlowe has become an archetype of the genre, endlessly recycled and referenced. Here are ten facts about the writer. 1/ A quintessentially American author, Chandler spent much of his early life in England. At the age of 12 he moved with his parents to South London, and was educated at Dulwich College, where he resided at, yes, Marlowe House. Becoming a British citizen, he worked in the civil service and as a journalist before moving back to the States in 1912. 2/ Chandler didn’t start writing till he was 44 when he was laid off as an oil company executive for his continual drunkenness. But writing success came slowly. His seven novels: The Big sleep, Farewell, My Lovely, The High Window, The Lady In The Lake, The Little Sister, The Long Goodbye, Playback and Poodle Springs are regarded as classics (well, the first five at least), but the early novels struggled to sell and it wasn’t until Hollywood started taking an interest that his fortunes changed. 3/ Philip Marlowe – named after the famous Elizabethan writer and secret agent – didn’t appear fully-formed. There were a number of prototypes of the character in Chandler’s many short stories, variously named Mallory, John Dalmas and Ted Carmady. When Chandler later compiled those early stories he simply changed the name of his various protagonists to Marlowe. He was a terrific recycler of his own material. Most of his novels were cannibalized from various short stories. Down these mean streets a man must go who is not himself mean, who is neither tarnished nor afraid. The detective in this kind of story must be such a man. He is the hero, he is everything. He must be a complete man and a common man and yet an unusual man. He must be, to use a rather weathered phrase, a man of honor. 6/ Chandler also worked with Billy Wilder, with whom he also fell out. Chandler actually makes an uncredited cameo in Double Indemnity, sitting in a hallway reading a book as Fred MacMurray walks past. Astonishingly, this in-plain-sight cameo remained unnoticed by anyone for more than 60 years, until a French film historian spotted him. 9/ Riddled by eczema, Chandler typed his novels wearing white gloves. 10/ His final novel Poodle Springs – in which Marlowe is married – was left unfinished when he died in 1959 and was later completed by crime writer Robert B. Parker. 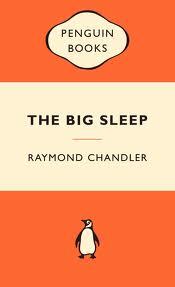 Emboldened by his encounter with Marlowe, Parker – brave man – wrote a sequel to The Big Sleep called Perchance To Dream. And Marlowe, like other archetypes of the genre such as Holmes and Bond, continues to live on long after Chandler’s death. The Black Eyed Blonde by Benjamin Black – the crime-writing name of Booker winner John Banville – is published next year. This entry was posted in Authors, Books, Criminal Minds and tagged Alfred Hitchcock, Benjamin Black, Big Sleep, Blue Dahlia, Double Indemnity, Farewell My Lovely, High Window, Perchance To Dream, Philip Marlowe, Playback, Poodle Springs, Raymond Chandler, Robert B. Parker, Simple Art Of Murder, Strangers On A Train, The Black-Eyed Blonde, The Lady In The Lake, The Little Sister, The Long Goodbye on October 2, 2013 by Crime Thriller Fella. The telly schedules will be filling up with crime thriller series over the coming months – The Tunnel, The Blacklist and the return of Homeland, among them – as the networks unveil their autumn goodies. And there are a couple of new series tomorrow night that you must, or must not, watch, as you see fit. 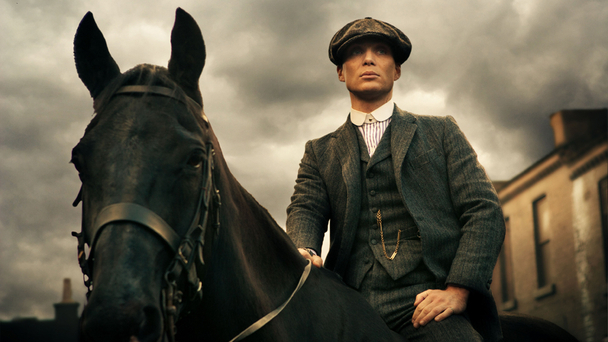 Peaky Blinders is the BBC’s attempt at a period crime drama in the Boardwalk Empire vein. Set in Birmingham just after the First World War, it follows the Peaky Blinders gang – so named for their charming practice of sewing razor blades into their caps – as they make money from illegal betting, protection and the black market. Birmingham, 1919. Thomas Shelby is a war veteran, and head of feared gang, the Peaky Blinders. When he comes into possession of a crate of guns from the local arms factory, Thomas sees an opportunity to increase the gang’s power and move up in the world. Meanwhile, tough Belfast copper Chief Inspector Campbell arrives in town, tasked with the recovery of the guns by none other than Winston Churchill. Will Thomas listen to the Peaky Blinders’ family matriarch, Aunt Polly, who instructs him to ditch the weapons rather than take on the police? At the same time Thomas incurs the wrath of his older brother, Arthur, when he stages ‘the powder trick’: a magic spell which will encourage the locals to bet on a horse. It’s the first step in fixing a race, but Thomas did it without the permission of Billy Kimber, the kingpin who runs the racetracks. Thomas’s younger sister Ada, meanwhile, is secretly having a relationship with his former best friend and the man who saved his life in the trenches, Freddie Thorne. Freddie is a Marxist, encouraging workers to strike over their recent cuts in pay. Like Thomas and the Peaky Blinders, Freddie and the Communists are on Chief Inspector Campbell’s list of suspects: organisations he intends to decapitate in his ruthless search for the missing guns. There’s Cillian Murphy, looking like he means business – we like him. I don’t know the name of the horse, but I can confirm that Sam Neill is in Peaky Blinders, and we absolutely love him around here. If you’re still umming-and-aahing about whether to watch it, be aware that it was created by Steven Knight, who wrote Eastern Promises and Dirty Pretty Things. That title, though — I keep wanting to say Pesky Blinders, which makes it sound a bit Scooby-Doo. Peaky Blinders is on Thursday night – that’s tomorrow for the terminally bewildered among you – at 9pm. It may require an hour of your attention should you intend to watch the whole thing. A nd who, you may ask, is going to fill that loveable-serial-killer shaped hole in your heart now that Dexter is finally going to be put out of his misery – one way or another – in a few, short weeks? Why, it’s our old friend, Norman Bates, coming out of mothballs, and bringing his deranged – but undeniably hot – mother with him. 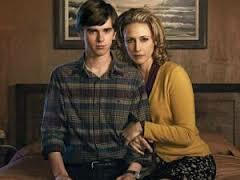 Bates Motel has already been commissioned for another season in the States. I think a lot of people were very sceptical about the idea of retooling Hitchcock’s iconic Psycho, but actually, the reviews for Bates Motel have been very good. It follows Norma and little Norman’s new life in a small town as they attempt to set up a new motel business and get to know the locals, very possibly by killing and burying them. Bates Motel clashes – would you believe it! – with Peaky Blinders. It’s on the Universal Channel – there is such a thing, I assure you, check your EPG – at 9pm, tomorrow night. Yes, Thursday. So something, as they say, has to give. Look, I’m terribly sorry about the photo of Bradley Walsh, but there is a good reason. You see, him off Law And Order: UK presents a new six-part series on Monday called – wait for it – Crime Thriller Club. Bradley Walsh presents this new six-part studio-based show celebrating the very best of crime fiction and television with high-profile guests, quizzes, bluffer’s guides and peeks behind the scenes of popular dramas. Culminating in the glittering Crime Thriller Awards 2013 in October at the Grosvenor House Hotel, the series gets exclusive access to the stars and sets of some of Britain’s best known crime thriller programmes like Bletchley Circle, Silent Witness and Midsomer Murders. Each week the programme gives viewers a bluffer’s guide with a short run-down of the key features of a popular crime drama – from Scott and Bailey to Foyle’s War. A book of the week is featured, focusing on high-profile authors such as Linwood Barclay and up-and coming names like Diana Bretherick. Living legends of the crime writing genre are also profiled, including Martina Cole, Patricia Cornwell and Wilbur Smith. Finally, the studio guest and viewers are encouraged to take part in a quiz on a popular crime programme – from Sherlock to Inspector Morse. Face-palm! Can’t they just leave it to excellent and informative blogs to do this sort of thing? I can’t think of any off the top of my head but, I mean, there are a few out there, right? So that’s it, then. You won’t need the likes of me any more. All you’ll have to do is set your recorder for ITV3 – that’ll be a first, I bet – on Monday night at 9pm. This entry was posted in Television and tagged Alfred Hitchcock, Bates Motel, Crime Thriller Club, Dirty Pretty Things, Eastern Promises, Peaky Blinders, Psycho, Steven Knight on September 11, 2013 by Crime Thriller Fella.